Thwaites Glacier on the edge of West Antarctica is one of the planet’s fastest-moving glaciers. Research shows that it is sliding unstoppably into the ocean, mainly due to warmer seawater lapping at its underside. But the details of its collapse remain uncertain. 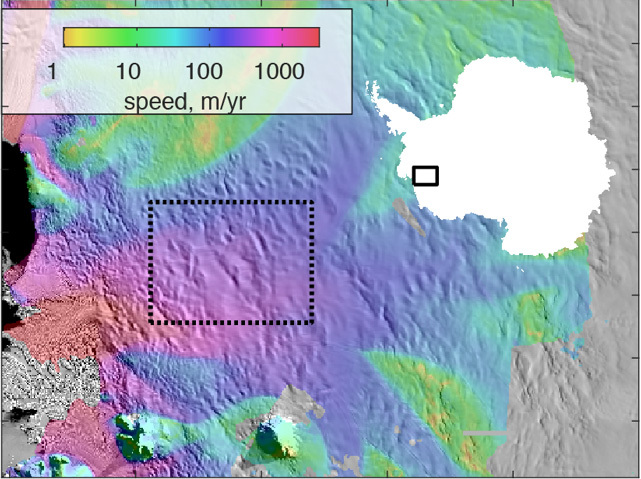 The details are necessary to provide a timeline for when to expect 2 feet of global sea level rise, and when this glacier’s loss will help destabilize the much larger West Antarctic Ice Sheet. Recent efforts have used satellites to map the underlying terrain, which affects how quickly the ice mass will move, and measure the glacier’s thickness and speed to understand the physics of its changes. Researchers at the University of Washington and the University of Edinburgh used data from the European Space Agency’s CryoSat-2 to identify a sudden drainage of large pools below Thwaites Glacier, one of two fast-moving glaciers at the edge of the ice sheet. The study published Feb. 8 in The Cryosphere finds four interconnected lakes drained in the eight months from June 2013 and January 2014. The glacier sped up by about 10 percent during that time, showing that the glacier’s long-term movement is fairly oblivious to trickles at its underside. Other glaciers, like some in Alaska and Greenland, can be very susceptible to changes in meltwater flow. Water there can pond beneath the glacier until it lifts off parts of its bed, and suddenly surges forward. This can increase a glacier’s speed by several times and account for most of its motion. Researchers were not certain whether such an effect might be at play with Thwaites Glacier. “It’s been difficult to see details about water flow under the ice,” Smith said. For the new study, the authors use a new technique to discover drops at the glacier’s surface of up to 70 feet (20 meters) over a 20 kilometer by 40 kilometer area. Calculations show it was likely due to the emptying of four interconnected lakes, the largest about the size of Lake Washington, far below. The peak drainage rate was about 8,500 cubic feet (240 cubic meters) per second, about half the flow of the Hudson River — the largest meltwater outflow yet reported for subglacial lakes in this region. “This lake drainage is the biggest water movement that you would expect to see in this area, and it didn’t change the glacier’s speed by that much,” Smith said. The reason is likely that Thwaites Glacier is moving quickly enough, he said, that friction is heating up its underside to ice’s melting point. The glacier’s base is already wet and adding more water doesn’t make it much more slippery. The new study supports previous UW research from 2014 showing that Thwaites Glacier will likely collapse within 200 to 900 years to cause seas to rise by 2 feet. 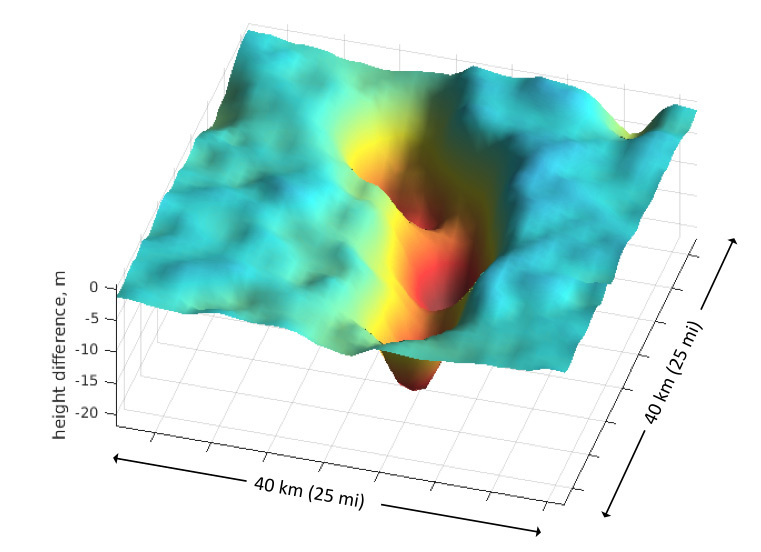 Those calculations were made without detailed maps of how water flows at the glacier’s underbelly. The new results suggest that doesn’t really matter. Melting at the ice sheet base would refill the lakes in 20 to 80 years, Smith said. 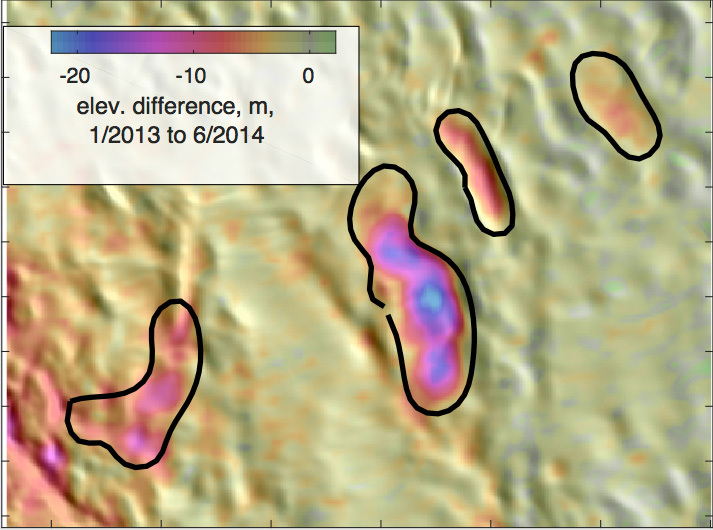 Over time meltwater gradually collects in depressions in the bedrock. When the water reaches a certain level it breaches a weak point, then flows through channels in the ice. As Thwaites Glacier thins near the coast, its surface will become steeper, Smith said, and the difference in ice pressure between inland regions and the coast may push water coastward and cause more lakes to drain. He hopes to apply the same techniques to study lake drainage below other glaciers, to understand how water flow at the base affects overall glacier movement. When NASA’s ICESat-2 satellite launches in 2018 the calculations will be easy to do with high precision. “In 2018 this changes from a hard project to an easy project, and I’m excited about that,” Smith said. Other co-authors are Alexander Huth and Ian Joughin at the UW and Noel Gourmelen at the University of Edinburgh. The research was funded by NASA and the European Space Agency. For more information, contact Smith at bsmith@apl.washington.edu or 206-616-9176. See also University of Edinburgh press release.